Happy New Year. My little blog site has been quiet for a while so I thought it was time I got back on it! The end of this month will mark the second anniversary of my blog and I’ve had over 30,000 views now so thanks for calling in here. People still mention the blog when I see them, so I figure its worthwhile carrying on and sharing my thoughts on the world, with whoever might be interested (or not). So back to the title; Abandoned Places…Whilst on my travels one thing I’ve been mulling over for a little while is how many abandoned buildings there must be in the world; the ones which had a story and some importance one day, but for unforeseen reasons have subsequently been left derelict. 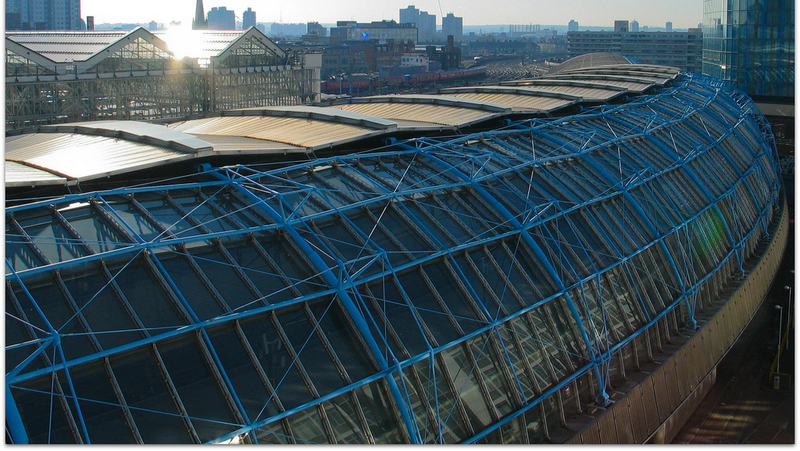 My thoughts were once again prompted yesterday when I had a meeting in an office overlooking the defunct Waterloo International Station in London. Designed by Nicholas Grimshaw and built for a cool £120m in 1993, it was vacated in 2007 and hasn’t really been used since. Surely a building of this scale was intended to last longer than 14 years! Although in that time it saw over 80m people pass through it. Detroit in the USA is perhaps well known for its Industrial past, followed by a radical abandonment which saw its population more than half to 700,000, from 1.8m in the 1950’s. Home of the American motor car and Motown music, this City went from boom to bust in a big way. There are many derelict buildings and areas of Detroit, including housing, skyscrapers, factories, warehouses and much more. One building stands out though as its been regarded as both the “tallest railway station in the world” when built, and “the world’s largest abandoned railway station” more recently. 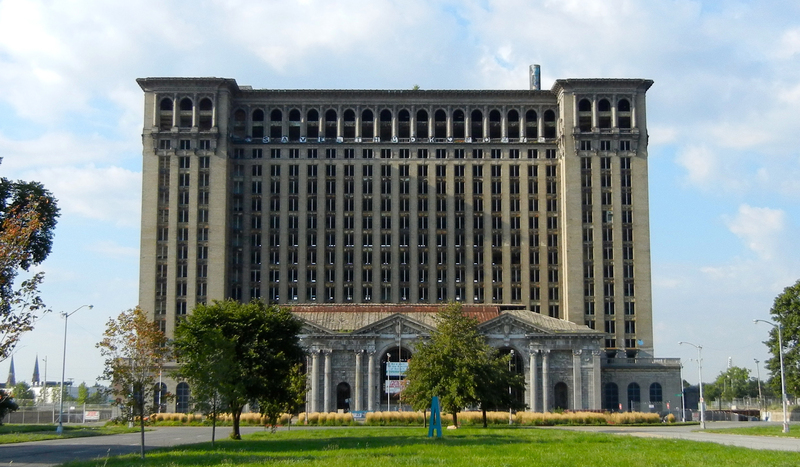 It is Michigan Central Station. Last used as an active station 1988. 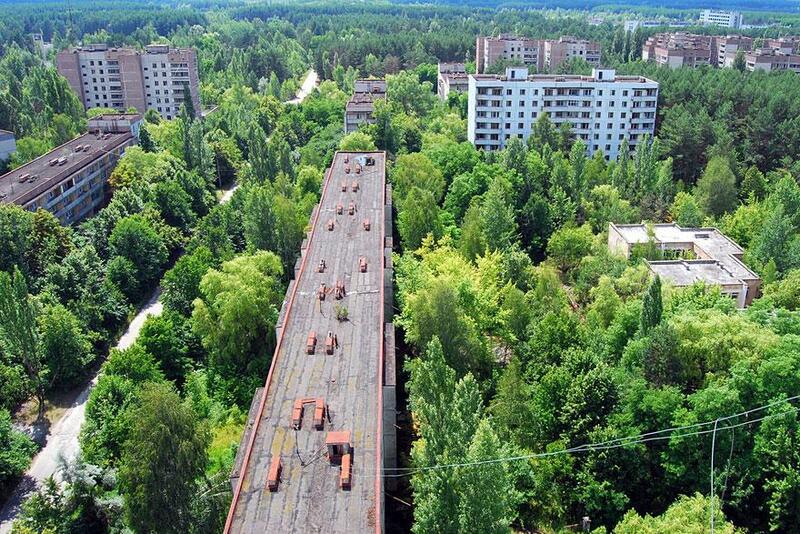 Moving away from train stations, one City in the Ukraine had seen rapid expansion during the 1970’s, before being completely and immediately abandoned in April 1986. Pripyat was the nearest City to the Chernobyl disaster. The City had been developed to house the many workers and families of the Nuclear Power plant. The City contains 160 apartment blocks, infrastructure, schools, a wide range of leisure and recreation facilities and everything else you’d expect to see for a place of over 50,000 inhabitants. Today, Pripyat has an odd existence. It stands completely still in time – as if frozen almost. Life does exist there, but not people. Trees and vegetation have claimed this empty City. An odd site. Again in the 1970’s some Taiwanese developers built the Sanzhi UFO houses as a holiday resort. These were targeted at US Military officers who would buy the things. The project ran out of money before it was fully completed, but they remain today. They remind me a little of Tom Bloxham’s Bubble House in the South of France (originally built for fashion designed Pierre Cardin). Maybe Urban Splash should redevelop these UFO houses! Ever heard of the sleepy Wiltshire village of Copehill Down? 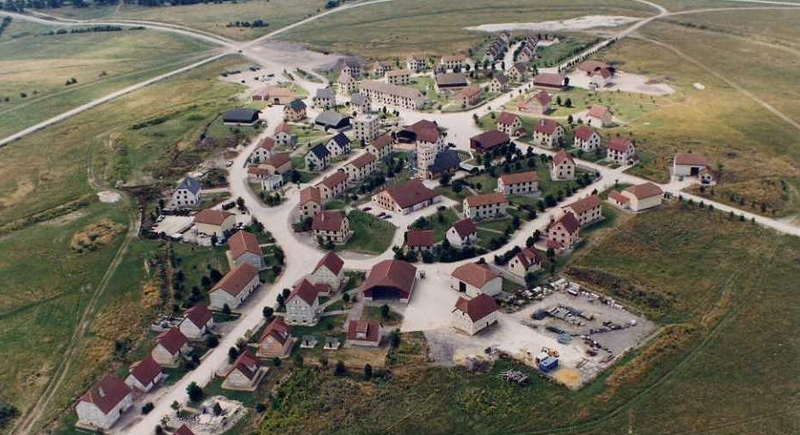 Its a complete village, but nobody has ever lived there – and you wouldn’t want to either! Its a secure Ministry of Defence training facility, built in the late 1980’s as a mock German village. In more recent years the village has been expanded using cargo containers to resemble a Shanty town. This is to train combat troops before deployment to Afghanistan. 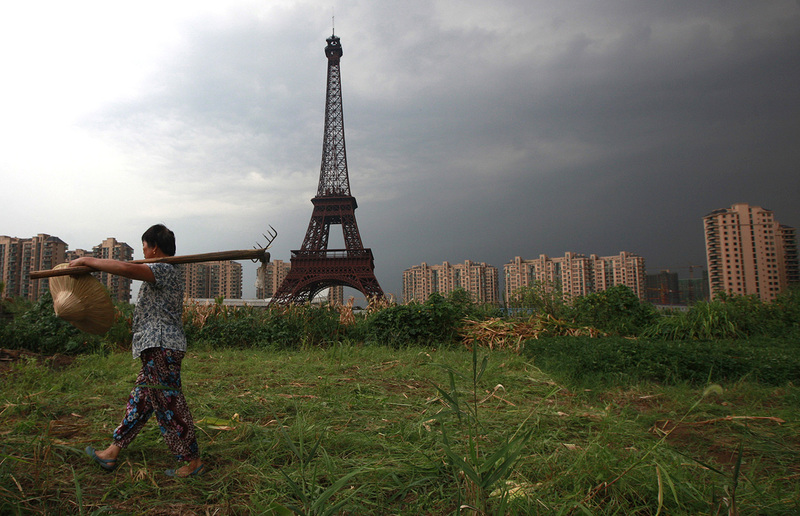 You’ll easily recognise the world famous structure in the photo below, but does the context look a bit different? The City of Tianducheng in China was part of a trend to replicate great cities from around the world. The Parisian City was planned and constructed in 2007 to house over 100,000 inhabitants, however current estimates are that around 2000 people live there. Staying in China, the Dongguan New South China Mall is the “second largest shopping centre in the world” (after the Dubai Mall). It was developed by an ‘instant noodle billionaire’ (now that’s a claim!) Its total floor area is 9.6 million ft2 and it can accommodate 2350 shops! 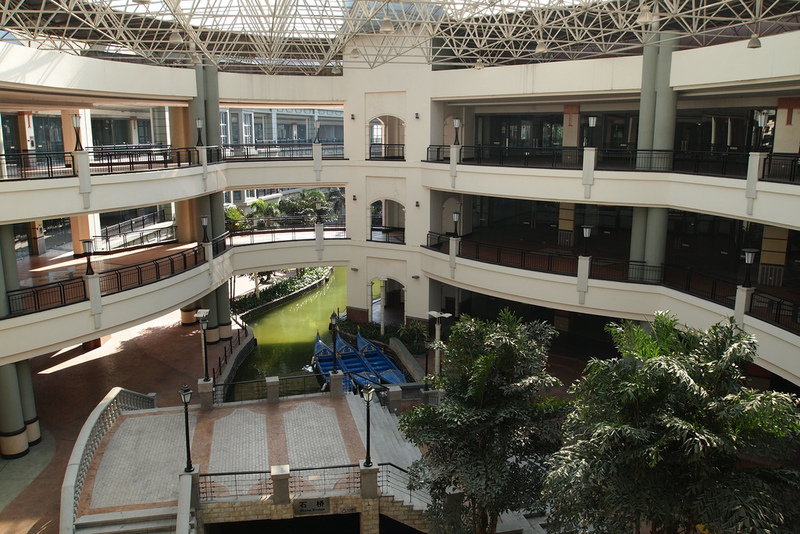 However, following its construction in 2005, the entire Mall is now empty. And we thought the UK High Street had problems. So there you go; a random, eclectic and perhaps unique collection of buildings and places from around the world which, have been abandoned for different reasons and frozen in time.